Eindhoven is located in the southern part of the Netherlands. It is one of the oldest settlements of the country but it was only noticed in the early 20th century with the birth of the electronics giant, Philips. It is thus often referred to as the City of Light. Over the years, industrial development has promoted Eindhoven from its village stature to the fifth largest city of the Netherlands. Sunny and warm weather characterises summertime in Eindhoven making it the best time for a visit to the city. Winter months are frosty with temperatures often dropping to zero degrees celsius. The weather is unpredictable and rain is known to play spoilsport quite unexpectedly. 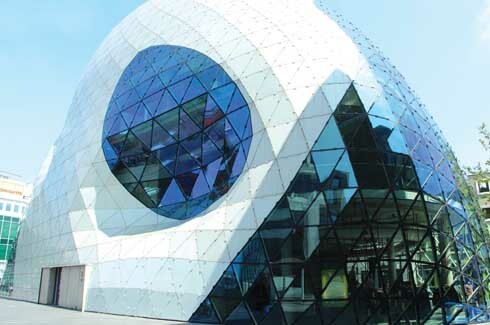 Eindhoven is one of the oldest cities in the Netherlands but in recent years it has come under the global spotlight for its ultra-modern industry and innovative design. The many design attractions and most importantly the annual Dutch Design Week held here since 2002 has firmly pinned Eindhoven on every design enthusiast’s must-visit list. 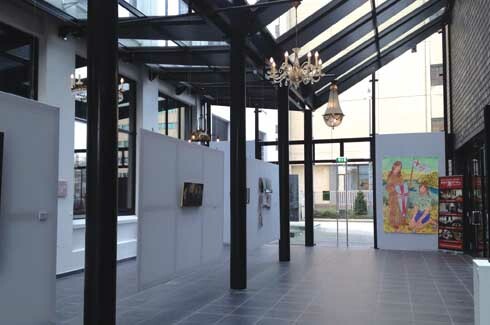 Art galleries, musuems, boutiques, quaint cafes and elegant restaurants buzz in the Eindhoven centre. It requires quite a stretch of imagination to picture this neighbourhood as it was over 100 years ago when light bulbs were tested in the Philips Light Tower that reigned here. The Light Tower still exists but it now houses part of the Art Hotel, the other part of which extends into another building. Floor-to-ceiling windows allow daylight to flood the hotel lobby while strategically placed giant sofas and vintage cabinets ensure privacy from the outdoors. 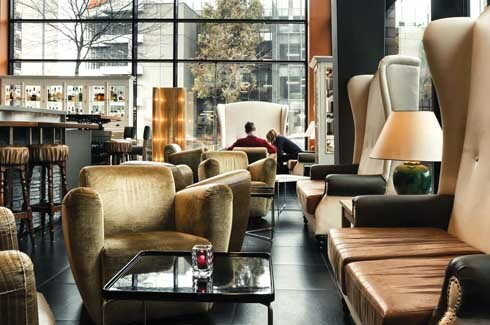 Earth-toned furnishings and a sombre colour scheme give the bar, restaurant and other public spaces of the restaurant a warm and rich appearance. Boats suspended from the ceiling, customised light fixtures and artwork lend an eclectic touch to the Hotel. All 200-plus rooms have been uniquely decorated, and no room resembles another. Furniture has been carefully chosen to complement the individual theme of the room. The colour palette across all rooms is white, black and tints of cocoa, with accessories providing an occasional burst of colour. The walls too have been treated differently in different rooms textured, layered with strips of wood, wallpapered or covered with a full-size black and white photograph. 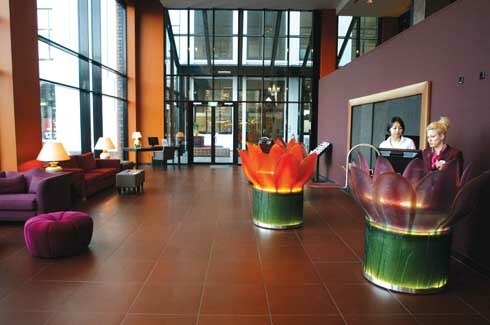 The loft rooms which are located in the Philips Tower incorporate the industrial origin of the building with the exposed concrete walls and the high ceilings. Like in the lofts, in these rooms too, the flow from the living area to the bedroom to the bath is uninterrupted. History of the original Philips Light Tower and the influence of the artistic neighbourhood come together at the Eindhoven Art Hotel to create an ambience that represents the true vibe of the city. It is only fitting that a city that is devoted to design has an address that does the same. Het Designhuis aka the Design House is just that. The exterior of the Design House has not been altered much from when it served as a district court building. The interior has been effectively metamorphosed into a museum space. Design, art and technology all come together under one roof to inspire design lovers. 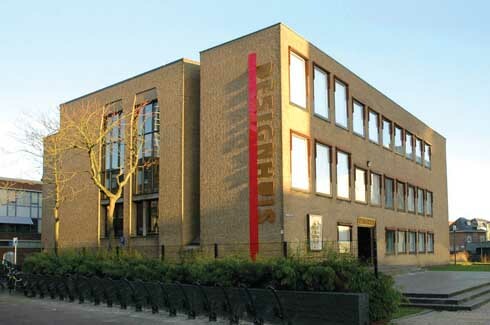 Permanent and changing exhibitions, workshops, lectures, etc. 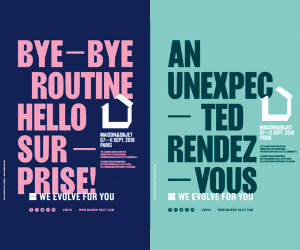 all come together to highlight the need and impact of design in all the elements of our lives. For those who are unable to visit Eindhoven during the Dutch Design Week, Het Designhuis will feed their appetite for all things design. Design and fashion come together seamlessly at You Are Here, Eindhoven’s award-winning concept store. A variety of women’s labels – local and international, new and established – are presented here. 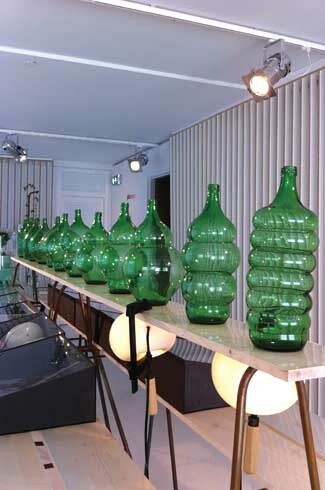 But, the store goes beyond its interesting merchandise and aims to create an experience out of a shopping trip. 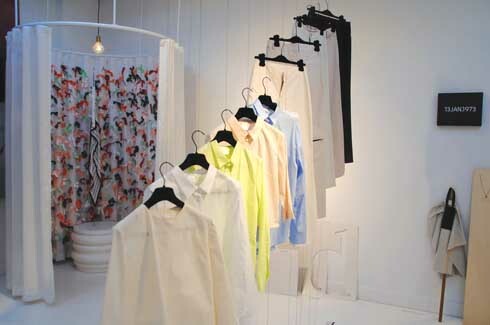 Eclectic window displays lead into the stark white interiors with garments and wall art providing a pop of colour. The most eye-catching areas in the store are the changing rooms bursting with colour and interesting applique details. Local artists and designers are roped in to recreate the store design every six months ensuring that You Are Here is always en vogue. It has been many years since Philips moved its headquarters out of Eindhoven but the city’s attachment to light stays on. 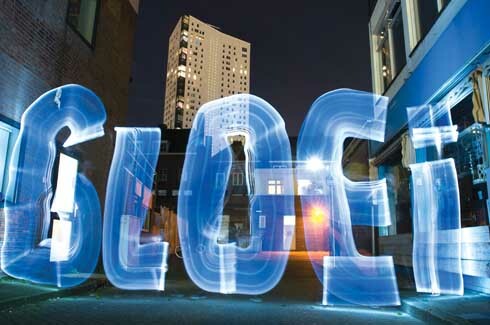 Launched in 2006, the Glow Festival in November, each year, celebrates this connection between light and the city. Local and foreign artists and creators use modern techniques like computers, sensors, animation and projection techniques to transform the city into an exhibition of light. Every year thousands of visitors throng Eindhoven to witness these fascinating and unusual installations that cover building facades, public spaces and the streets. The Glow Festival highlights Eindhoven as the city where design and technology truly work hand in hand.